I am DYING for it to be fall! For the past week, we have been had 100+ degree weather and I am just plain over the heat and mostly the air-conditioning! I was able to open up all the windows in the house this morning to get a little fresh air before the heat of the day struck again. I cannot wait for cool air to be coming through our windows! 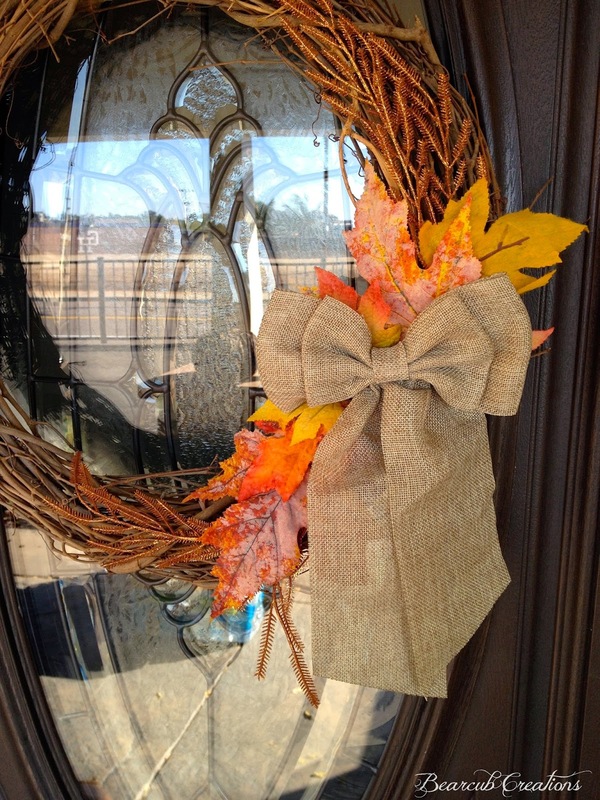 Anyways, because I am wishing it was fall, I have been in the fall decorating mood. 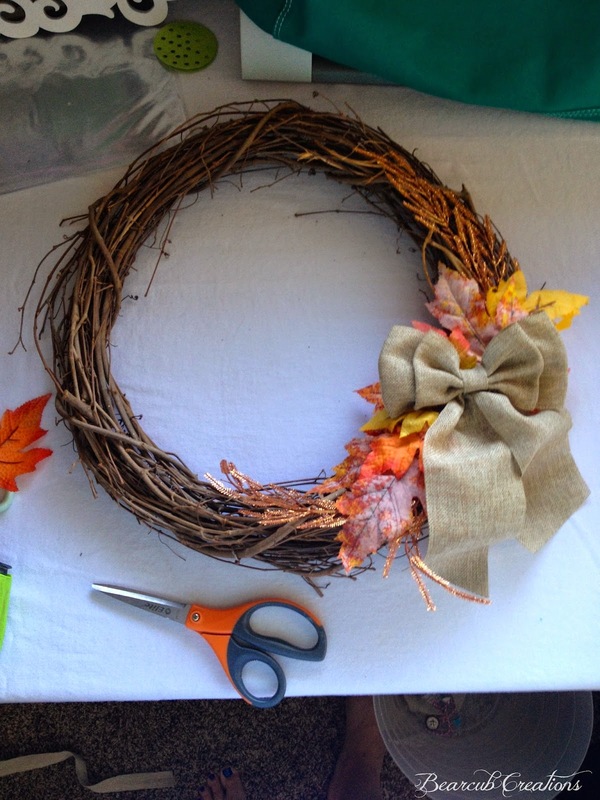 Last week, I made this simple fall wreath and I love how it turned out! 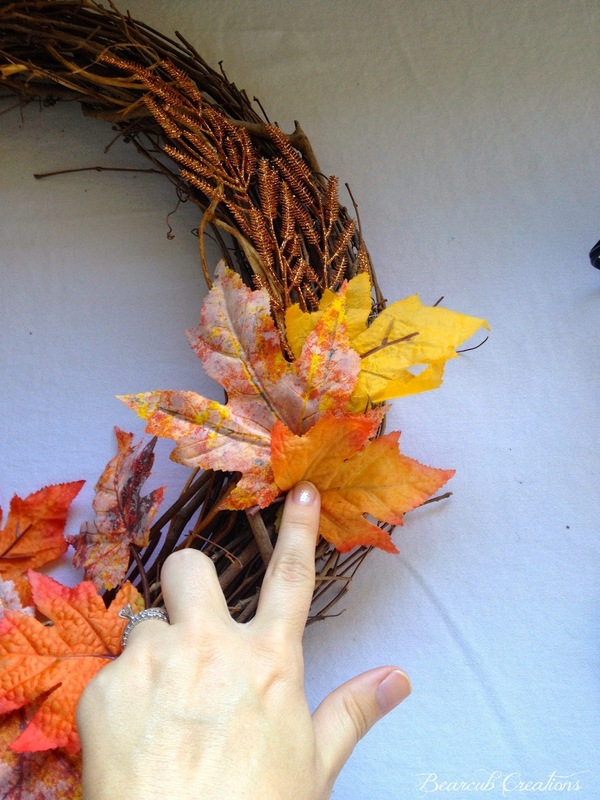 I used all things I had in my fall decor bin to make this wreath but Michael's has a ton of cute fall silk and plastic decor to make this wreath. I also purchased the bow at the $.99 store. You could make it easily but I liked the look. The first thing I did was place all the pieces as I thought I'd like it to look. This picture is of just that. Nothing is glued here. The finished product, ready to be hung on the door! 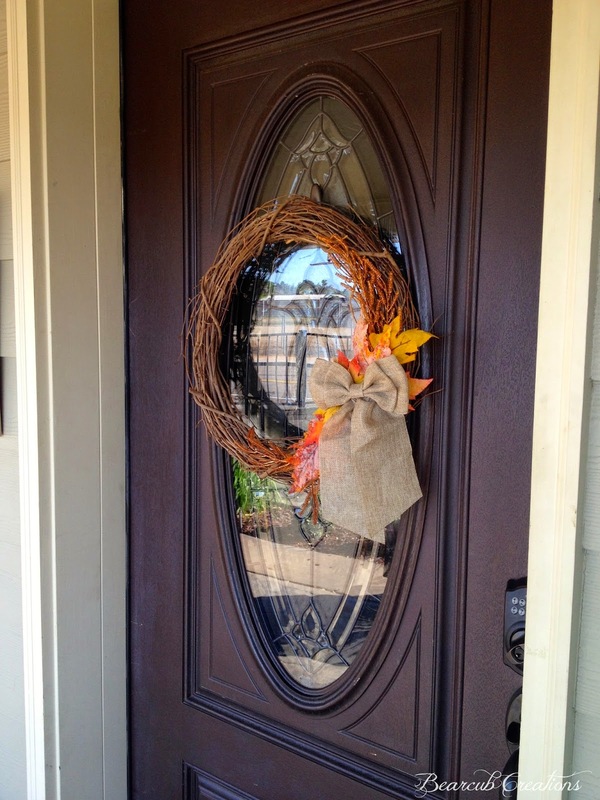 I used an command hook to hang the wreath on the door. It has worked great! I'll hopefully be sharing more of our fall front porch soon, after I get it all put back together after Aston's birthday party. 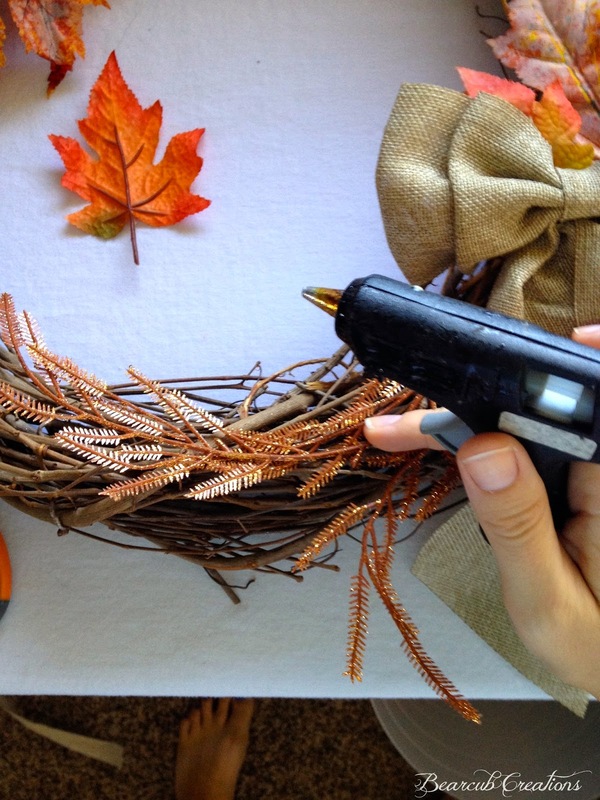 What fall projects are you doing? 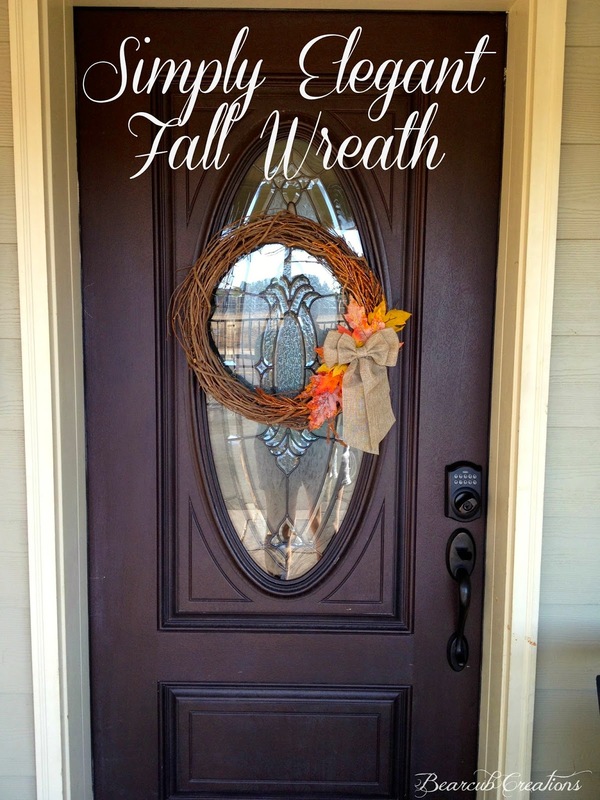 Does it feel like fall where you live? 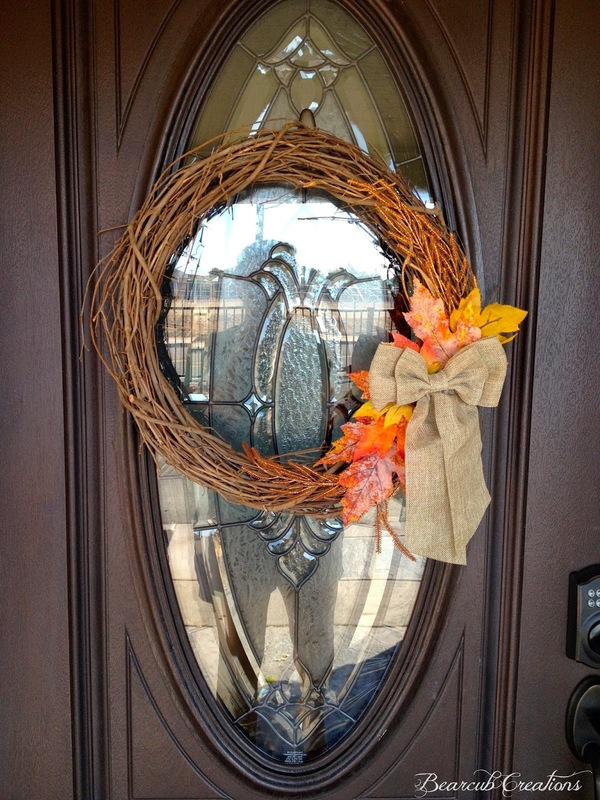 I love your darling wreath! 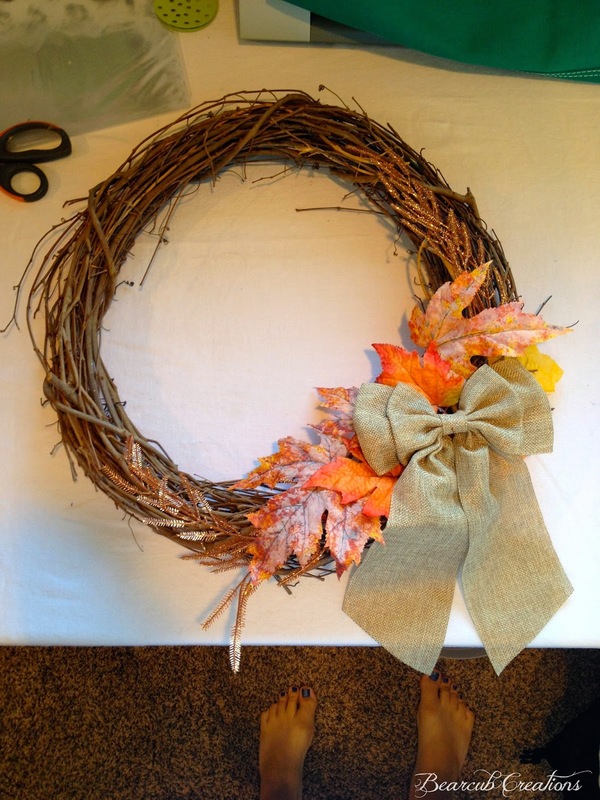 Thanks for sharing it at the Fall Holiday Craftacular!